Every relationship is unique. Every wedding should be one-of-a-kind. Your wedding should reflect the two of you as a couple. It is an expression of your personalities, and reveals much about you and your lives. 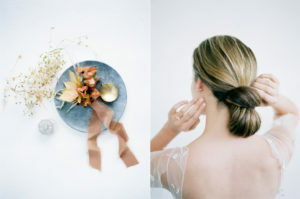 Yet with so much inspiration being thrown at you on how to achieve a Pinterest-perfect wedding, it can be easy to slip into following trends and styling to match the pages of Bridal Guide , and forgetting the things that truly make a wedding unique. If truth be told, happiness is really quite small, it can fit in anywhere. 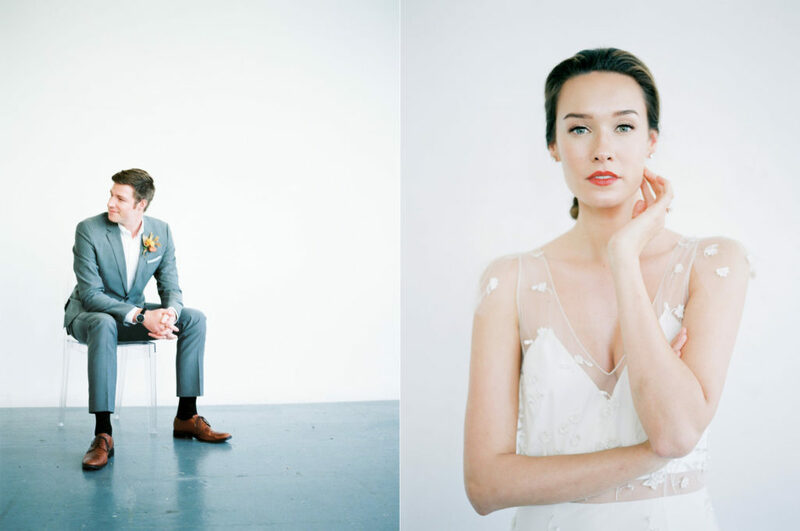 Not just photographs and vows can add sentimental and stylish elements to your wedding. A personalized velvet box can bring you this little happiness. 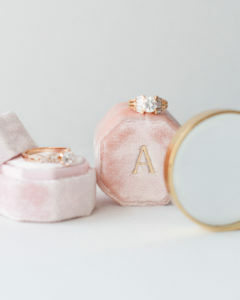 Monogrammed ring boxes will definitely allow you to obtain the one and only beautiful details for your special day. Once you put your initials on something, it becomes more meaningful and precious. We are going to give you a brief overview on monograms from their ancient beginnings, all the way to their place on our ring boxes today. Monogramming is a fabulous type of art that has come to be a classic for anyone wanting to display their initials, but have you ever wondered what exactly monograms are? A monogram is a motif created by combining two or more letters to become one symbol that serves as a logo. In the middle ages, the monogram was a way for artists to claim their art. Then it appeared on coins to make them look authentic. From these times the monogram was often used by royalty to show their power, luxury and status by marking things with their initials. You may think that nothing lasts forever, but our new monograms will be here to stay. All the enchantment is in our carefully guarded secrets of monogramming. You will definitely fall in love with the vintage style of lettering which gives every box a touch of class. By the way, do you have your favorite font? Find it and we will decipher the mystery of our monogram together. Let us do magic! If you want to give your ring box an aesthetic edge, Voeu du Coeur is the best place to go. Offering velvet ring boxes, this is heaven for brides and grooms who love the little details. The appearance of Italian velvet, which we use, changes as the light reflects off the various angles. Silk velvet has its luminous sheen and depth of color. Create your own, one-of-a-kind, personalized dream ring boxes. Actually, velvet is just like a fine wine: it gets only better with age. Why not to put your initials on a ring box and make your new memories like the Queen and the King? Leave us your thoughts in the comments section below! Photography Jeremy Chou Photography | Floral Design Wild Club Design | Wedding Dress Alexandra Grecco Invitations Refine Studio | Jewelry Susie Saltzman | Hair + Makeup Makeup by Quis | Tabletop Rentals Frances Lane Location Lux SF | Creative Direction Natalie Choi Events + Design | Models Scout Model Agency | Ring Box Frosted Almond | Styling Surfaces Simply Rooted | Chairs The Chiavari Guys | Film Lab The Find Lab Silk Ribbons Tono + Co.